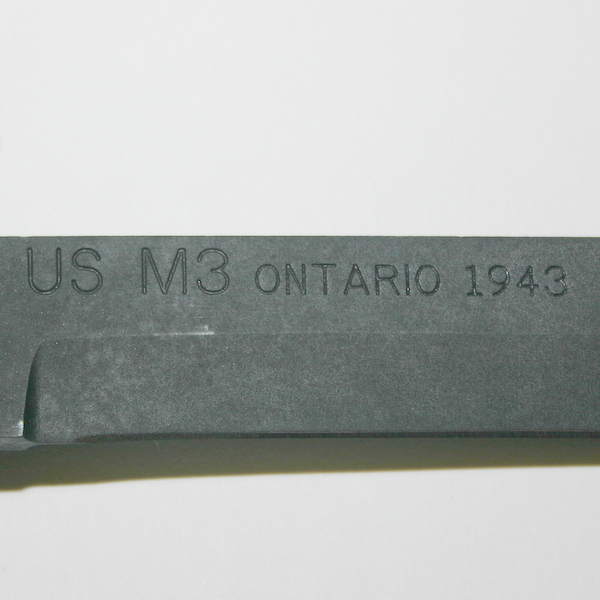 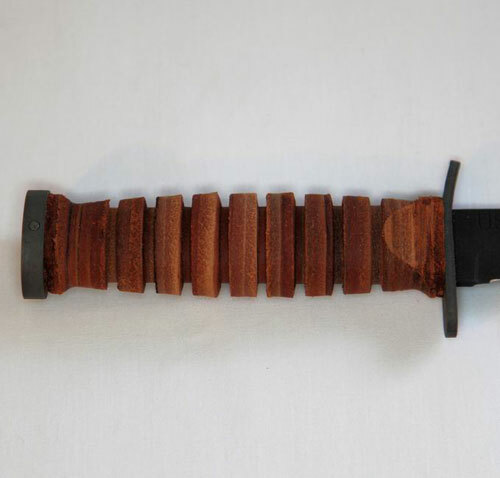 Ontario's faithful reproduction of the famous field / fighting knife of world war two gives the opportunity to own this practical design that is as useful today as it was in France in 1944. Utilizing original patterns and forms from the era, this M3 remake is faithful to the original. 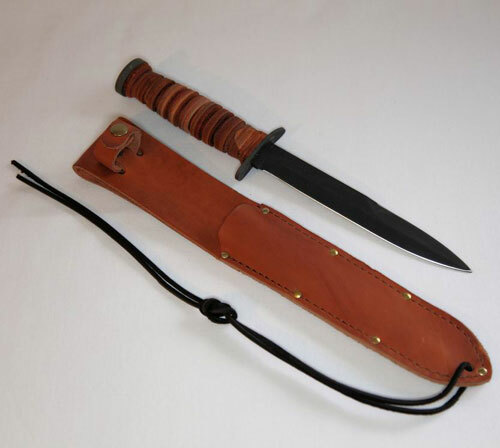 Its 7" spear point blade is 1095 carbon steel and a full length tang forms the backbone to the authentic grooved stacked leather handle. 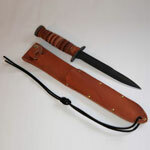 The sheath is natural leather, stitched and riveted with a leather tie-down thong and press stud retaining strap. 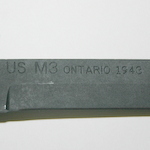 A sewn in loop will accommodate belts up to 5" in width.